We're a leading provider of mobile locksmith services. Our skilled technicians are adept in door lock repair and replacement, deadbolt installation, safe opening, master key systems, house, car or door lockouts, the repair or replacement of most major brand locks, re-key services, ignition repair or key replacement for most cars and much more. Call your local Locksmith Skagit Today! If you are in need of a residential locksmith in Skagit County call Locksmith Skagit now. We fully understand your need to feel secure about your home, belongings and loved ones and this is the reason we provide 100% guaranteed services to our clients. From house rekeys and deadbolt installations to safe combination changes we have the skills and knowledge to secure your residence. For a full list of services click read more below. If you are in need of a rapid emergency locksmith response, contact Dan at Locksmith Skagit and our mobile locksmith will be able to assist you with your residential locksmith needs. Broken office key? Need to replace or rekey your office locks? Help is on its way, call Locksmith Skagit today for your commercial locksmithing needs. Whether you need new hardware installed on your business, panic bars repaired, door closers replaced or just need your locks rekeyed, call Locksmith Skagit – we will provide a service you can count on! We are available for security consultations as well as offering advice on commercial locksmithing needs. Locksmith Skagit offers professional car lockout service and lost key replacement for cars, motorcycles, boats and rv's of most makes and models. We are a local, licensed and bonded mobile locksmith service with a shop that specializes in automotive locksmithing. We are able to quickly and effectively handle your lock issues. Whether you need your seized ignition replaced, broken key removed, a replacement transponder key made, or advice on how to handle your situation. We can help. We can re-create most types of keys right from our mobile locksmith van. We can even originate and program high security laser cut "sidewinder" keys on site. We will bring our fully equipped locksmith van to your location and quickly get you back on the road, keys in hand, or you can bring your locks to us to have keys made. Locking yourself out of your home, office or car can be frustrating, to say the least. There are many options for you to get back on track and in your building or automobile. It’s important to keep your safety in mind, if you find yourself locked yourself out of your car, make sure you are in a safe area. If you don’t have your cell phone, go to the nearest well lit business and call Locksmith Skagit from that location, we are a mobile locksmith service we come to you. If you are locked out of your home or office, the same safety precautions apply. Always call Locksmith Skagit from a safe location and we will come to you to assist you with the lockout. Our van is well equipped to handle most lock out situations, if we are unable to assist you, we are happy to offer recommendations on how to solve your issue from the first phone call. Call Locksmith Skagit today for your Local, Licensed & Bonded Skagit Valley Locksmith! If you find yourself, pet or young child in an emergency lockout situation, the experience can be terrifying. In Skagit County, you can get immediate help from us. We can be there for your emergency lockout service to help you get into your car and on your way. If you find yourself locked out of your vehicle, call our mobile locksmith service. One of our bonded and professional automotive lockout technicians will be dispatched to your location. Since we are local to Skagit County, we can get to you fast and get you on your way. One way you can minimize the need for a locksmith to unlock your car is to have an extra key. Put the extra key into a safe place or leave it with a trusted neighbor or friend. An extra key can save you time, stress, and money. Our automotive lockout technicians can make an extra key for most vehicles. This is often a cheaper alternative to buying an extra key from the car dealership. We can even replace many transponder keys. Using a professional automotive locksmith can give you peace of mind. Choose a locksmith that is bonded and licensed. This small step can protect you from the costs of bad work done by an inexperienced locksmith. A licensed locksmith has fulfilled specific requirements and passed a rigorous exam in order to receive the license. A bond can pay for accidental damage that might occur. A professional locksmith knows how to reduce the chance of causing damage to your car. Skagit County motorcyclists now have an experienced locksmith they can call if they need help. Our skilled lockout technicians can help you get your motorcycle started and back on the road. We can even help if your key is broken off into the ignition. 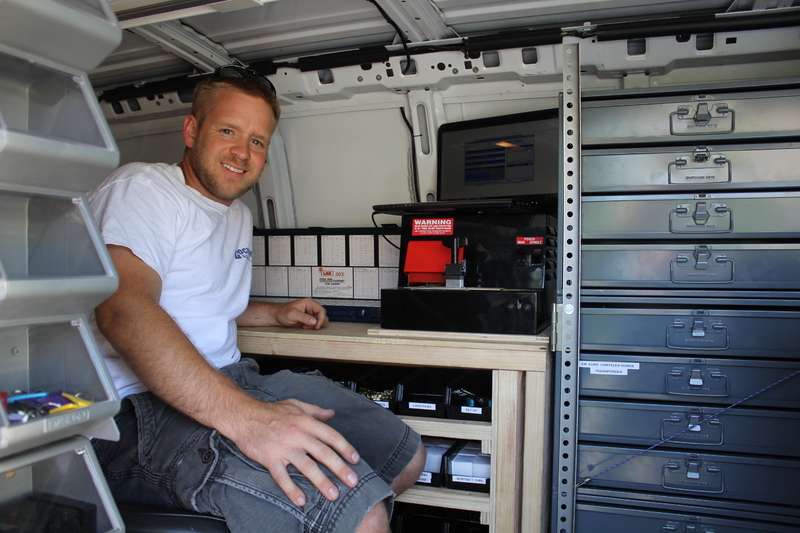 Our automotive lockout specialists will arrive at your location in a van loaded with world class tools. One of our tools can save you time and money. Instead of having your car towed to a dealership because of a chip inside of the key, we can use our MVP Pro Advanced Diagnostics unit to create a backup key. We service vehicles (including motorcycles) throughout all of Skagit County. If you’ve locked your keys in your car, lost your car key, or even broken your key off in the ignition we can help. We offer service seven days a week and 24 hours per day. That’s right. We are here anytime you need us. Our testimonials speak for themselves. Call us right away and one of our knowledgeable automotive lockout specialists will be on their way to you and get you back on the road. We can even help you if your ignition stopped working. We carry several different stock models of ignitions to benefit our customers. Let us take some of the stress out of your difficult situation. Don’t wait. Call us! Proudly serving all areas of the Skagit Valley including Burlington, Mt. Vernon, Sedro Woolley, Clear Lake, Big Lake, Anacortes, Camano Island, La Conner and surrounding areas.